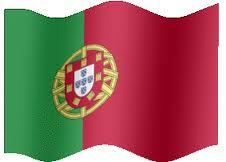 Hello again!You have arrived at our Portugal information page. This being very general information as our remit is the Algarve. THE NATIONAL FLAG....................THE NATIONAL COAT OF ARMS.. THE COUNTRY occupies a very favourable position at the tip of the European,Iberian Peninsular.It is bordered by the Atlantic,on its southern and eastern coastlines and by Spain to its Western border.This is what gives the country and in particular the southern province of The Algarve;its distinctive and beneficial climate and healthy air.The Algarve is known as the coast of light.Even when raining,there is still a lack of the depressing grey atmosphere found in Great Britain and other European countries. 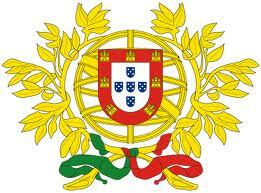 The once great Portuguese empire is now down to the islands of The Azores and Madeira. In modern times the country is a Republic,having its own President and member of the European Union.Which has caused massive inflation in real terms along with the loss of many small businesses.Known to have been inhabited since prehistoric times it was believed to have been occupied by the iniquitous Roman Empire around 29bc bringing in the people known as Gallaeci and the Lusitanians.These names coming from the two provinces set up by the Romans. As with many countries occupied by Rome the language of the country is heavily influenced by Latin. "Not a lot o' people know this" but Portugal gets its name from the city of Porto and this is where the birth of the nation came into being. This region is very different to the drier Algarve having many mountains with rivers and natural parks.The steeply sloping hills are covered with green leafy vegetation. The natural stone of this area is granite,which has been used to build much of the prominent architecture.Apart from this much of the area of Northern Portugal owes its character to the River Douro which bisects the region.The valley created by the river has become a world heritage site thanks partly to the many vineyards adorning its slopes. The rivers name derives from the old name of Ouro or gold because it brings the water to grow the grapes responsible for the famous Port wines. So it is fact that this ancient city gave birth to the names of the nation and its most famous wines,which is why we write about it before the capital city of Lisbon.This area is so steeped in history as it was from here that many of the "voyages of discovery" ships set of discovering much of the "new world".The rich history comes to life when you visit the many ancient castles.The castle at Guimaraes was the birthplace of Dom Afonso Henriques the so called "founder of the nation" and its first known king.Then history is recorded in the countless palaces and manor houses in all their glory,emblazoned with lavish coats of arms where visitors are greeted with "an aristocratic display of hospitality".For t5he relgious the region is also studded with many Baroque churches with their amazing carved and gilded woodwork. 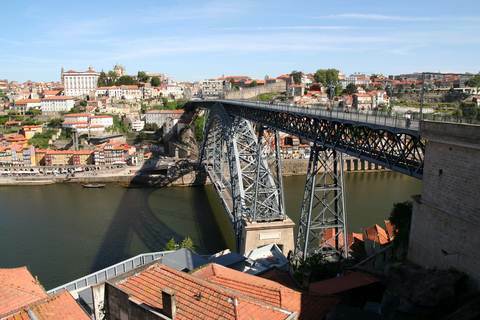 Most of Porto city heritage is thanks to vibrant trade through shipping making it a bustling and typically passionate location of Portugal. Lisbon coming soon.So please follow our blog.